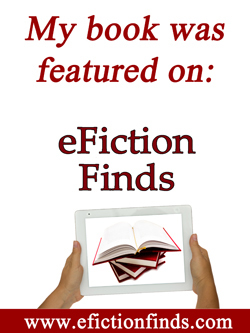 7QT – Book on #Sale, Lent Movies & Other Cool Things! 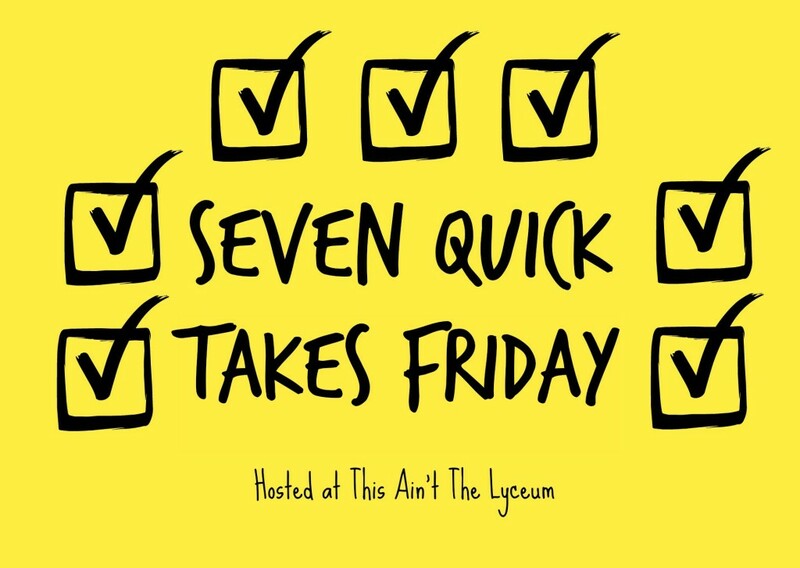 Please join me and other Catholic bloggers at This Ain’t the Lyceum for 7 Quick Takes Friday! 1. Angela’s Song Only .99!! Angela’s Song by AnnMarie Creedon is only .99 until tomorrow! Head on over to Amazon to pick up your Kindle copy for only .99! 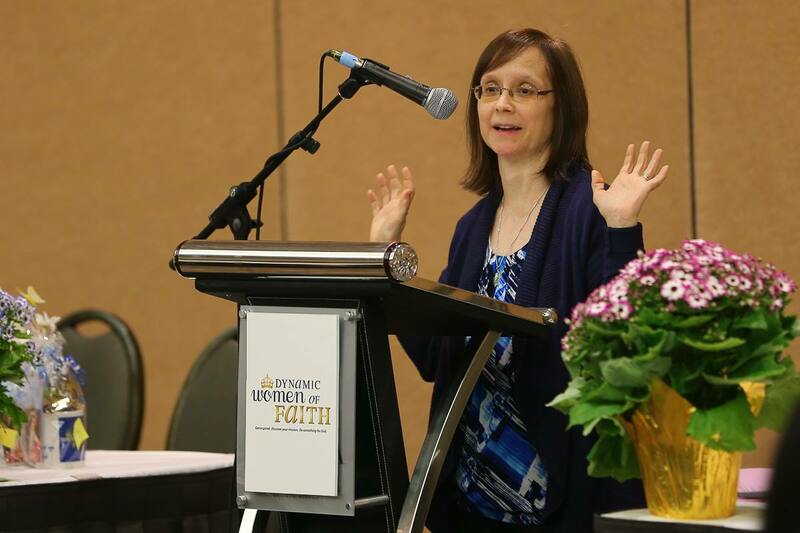 I’m over at the Catholic Writers Guild blog today speaking about the importance of being needed. My post in honor of the Feast of the Annunciation two days ago and on the importance of saying yes to God’s will sparked a lot of comments. Have you seen the new faith-based movie, Do You Believe, yet? It’s from the same producers and writers of “God’s Not Dead.” I thoroughly enjoyed it. Our family watches this movie every year, on Good Friday, when we return home from the Good Friday service. Powerful, hard-to-watch movie. A Catholic Gardener’s Spiritual Almanac by Margaret Rose Realy. “Behold, I am the handmaid of the Lord…” Mary’s words in Luke 1:38 echoed loudly in my heart when I found out that I was pregnant for the first time. To say that I was thrilled would be an understatement. “A sword shall pierce your own soul.” These prophetic words also echoed loudly in my heart when I lost twins early in that pregnancy. And, with the loss, came the realization that being open to life didn’t always mean having a baby in my arms. I know one particular couple who tried for many years, unsuccessfully, to have a baby. They went through denial, then acceptance, of their infertility. The wife questioned God. “Why did you give me a godly man if we can’t have children together?” Eventually, they adopted two beautiful girls from China. Several years ago, a woman from our homeschooling community was expecting her sixth child. At 19 weeks gestation, she began exhibiting signs of early labor. Her son was born and only lived for a short time. However, she shared with me that, as difficult as it was to hold her dying son in her arms, she truly felt blessed. The moment her son died, filled with God’s grace, she more clearly understood in a small way what Our Lady endured by holding the crucified and dead Christ in her arms. Six years ago, our close friends welcomed a new child into their family. At birth, their son appeared normal, but as she held onto him in those first few moments, she realized that he had Down Syndrome. When she called me, her voice was so full of love for her child that it was as if she was sharing with me that her baby had brown hair instead of blond. Her ‘openness’ to the wonderful gift that God had given to her was a testament to her trust in God and acceptance of grace in her life. Finally, the idea of total ‘openness’ was illustrated more fully to me a few years ago while I was at the hospital waiting for my youngest son to come out of minor surgery. I watched a mother come into the nurses’ station with her toddler in a stroller (who, in my eavesdropping, I had learned spent a long time in the special care nursery). Unable to catch a glimpse of her son, I watched from a distant position as many nurses gathered around the stroller to see the baby, and I could hear his sweet laughter as he reacted to the different nurses and to his mother. My curiosity could not stand it any longer. I moved closer to see what this baby looked like. As the child came into view, I’m sure I let out a quiet gasp. His skull was misshapen, his forehead gigantic compared to the rest of his head. Immediately, I felt tremendous pity not only for the child, but for his parents. Then one of the nurses tickled him under the chin and he let out a squeal of laughter, a high-pitched, sweet sound. In that moment, I no longer saw someone who was deformed. I saw a little person who was radiantly beautiful; a representation of innocence and goodness. I felt an overwhelming urge to embrace him. ‘Openness to life’ means accepting God’s will for us. If our baby has disabilities, it is important for us to pray for the grace to handle the challenges. If we must endure the loss of a child through miscarriage or pre-term birth, it is essential not to give in to hopelessness, but to realize that God has a plan for each unique human being he creates. It’s not easy for a couple to surrender their life-giving capabilities to God’s design and to accept whatever comes from that. True ‘openness to life’ means becoming like Mary, a “handmaid of the Lord.” It means being open to whatever God chooses for us, whether it’s infertility or a child with disabilities, whether it’s a healthy baby for us to raise, or one for Him to hold in heaven. Angela’s Song – Only .99 Limited Time! Full Quiver Publishing’s book, Angela’s Song by AnnMarie Creedon (Kindle Edition) is on sale until Saturday, March 28th for only .99! Download it now on Kindle for only .99!! From the Hub to the Heart by Andy LaVallee and Leticia Velasquez is FREE on Kindle today and tomorrow. Download it here. 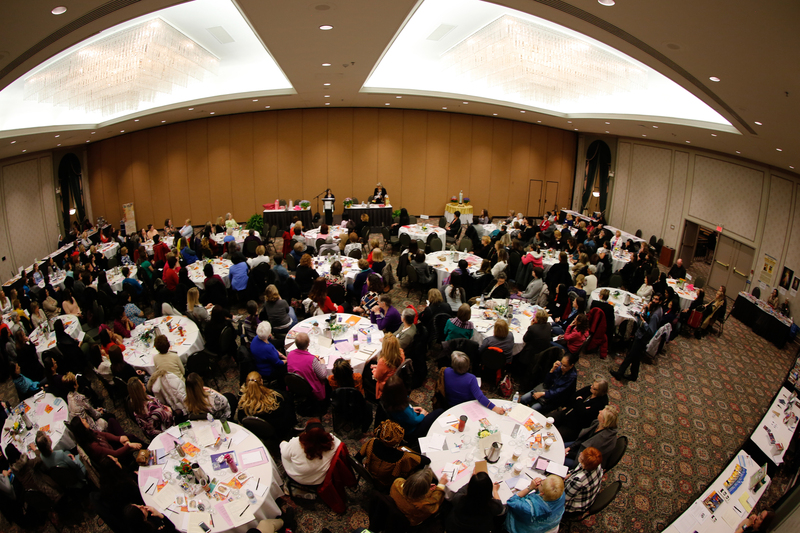 Below is a cool photo of me speaking (I’m behind the podium) and gives you an idea of the size of the group. They were wonderfully receptive. It was a pleasure speaking! I can’t wait to see this new movie by the producers of “God’s Not Dead.” It’s entitled, “Do You Believe.” And, yes, I believe!! “Pregnant Women’s Baby Cut From Womb.” When I wrote Stealing Jenny six years ago, these occurrences weren’t as common. They are, unfortunately, becoming more frequent. Thankfully, the mother in this story survived. Sadly, her baby did not. 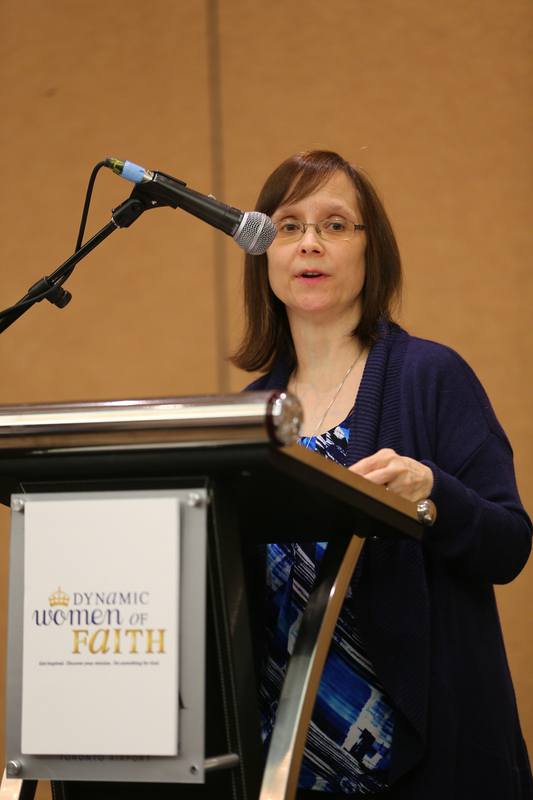 Special thanks to Dorothy Pilarski for organizing the Dynamic Women of Faith Conference this past Saturday in Toronto. All three photos below are of me giving my presentation on “Coping With Difficult Losses,” the bottom one showing the size of the crowd. They were a wonderfully receptive group of women!